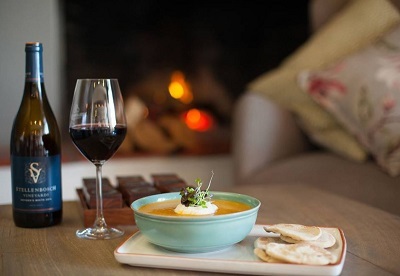 Foodies the world over are taking notice of the exceptional food and wine pairings offered across the Stellenbosch winelands in South Africa. 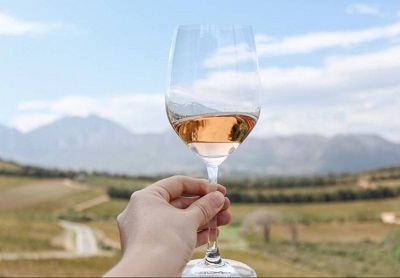 From pairing sparkling wines with sweet treats, to matching delectable red wine with salts from all over the world, Stellenbosch has it all on offer for visitors and locals alike. “The rich bounty of the Stellenbosch region is being presented in more ways than just wine, and travellers can expect to be absolutely delighted when visiting various wine farms, tasting rooms and restaurants across Stellenbosch,” furthers Annemarie Ferns, CEO of Stellenbosch 360. Four handmade chocolate batons, crafted to perfectly complement the wines, are paired with a fabulous Viognier, two reds (Merlot and SMV) and ended off with a sweet note in the form of a very unique Honey Liqueur. The House of J.C. Le Roux is South Africa’s leading cellar dedicated entirely to the craft of making sparkling wine. Whilst its signature tasting experience pairs nougat, meringues and marshmallows with five MCCs (Méthode Cap Classiques) and sparkling wines visitors can also opt for a completely different taste sensation and pair their bubbly with a variety of delicious herb-infused olives. Pair Fleur du Cap wines with artisanal, salted delicacies at Die Bergkelder where handmade morsels meld seamlessly with hands-off, naturally crafted wines. When you join them for one of their unique wine and salt tasting experiences you get to take home an insightful booklet with delicious recipes pairing these elegant wines to some of the world’s finest artisanal salts. Delheim’s signature foursome includes an exotic pomegranate cupcake, matched with the ever-popular Delheim Pinotage Rosé, for a fun, fruity and fresh start. A Rooibos cupcake infused with lemon and topped with a cream cheese and honey icing, is paired with the Delheim Chenin Blanc Wild Ferment. A Pumpkin & vanilla cupcake infused with star anise, cinnamon and nutmeg, and topped with diced pickled pumpkin, is paired with the Delheim Pinotage. A traditional African makataan cupcake, festooned with makataan (wild melon) syrup icing, shares the spotlight with the Delheim Gewürztraminer to end off the pairing. Van Ryn’s Distillery produces some of the world’s best brandies. Visitors can not only take a tour of the pristine distillery and see a demonstration of how to craft hand-made barrels but also participate in a unique tasting experience where three of Van Ryn’s award-winning brandies are paired with Belgian chocolate and Brazilian coffee. Although the straight-forward enjoyment of Avontuur Estate’s award-winning wines will always be top of the list at this family-owned wine and stud farm, the team at the tasting room spices things up a little by pairing wines with four different flavours of Wedgewood nougat. The wines used might include the MCC Brut, Luna de Miel Chardonnay Reserve, Minelli Pinot Noir Reserve and Above Royalty Liqueur wine. As vintages change, the pairings might be tweaked slightly to suit the nougat flavours. Other tastings include biltong and wine pairings. Indulge your senses with a Fine Old Vintage and Chocolate Pairing experience – three delectable truffles paired with our rich, coffee and almond based Fine Old Vintage. Or opt for the Pâté & Wine Pairing – a notable range of classically styled reds, teamed up with home-made pâtés and 100% rye bread.